If you're interested in organic eating and saving money, this is definitely the post for you! 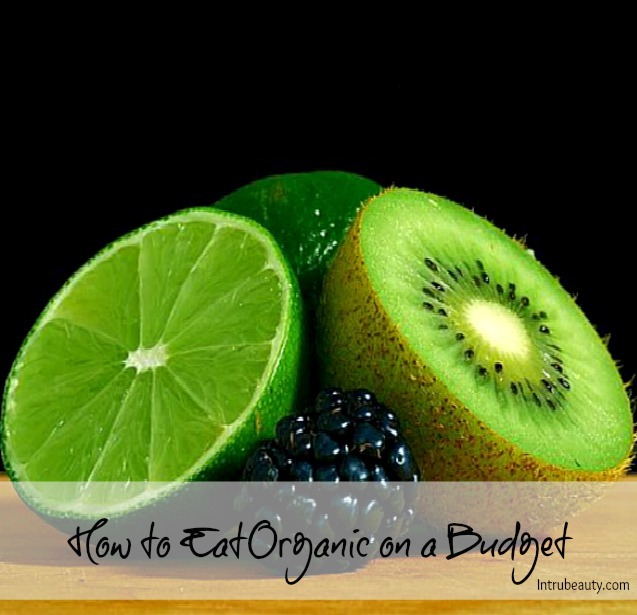 You've probably been hearing a lot about paleo, the raw food diet and/or clean eating and looking to change over to one of those lifestyles, I think my top tips on how to eat organic on a budget are really going to help you. Organic food can be more expensive and the whole process of changing your life to organic eating and living can seem very daunting at first, but it doesn't have to be that way at all. Read all for my top tips on how to eat organic on a budget and maybe even save yourself some money! Know what stores have deals on what. Keep your receipts and comparison shop the same brands in a different store. I know not everyone has the time for this and I understand that. I make it worth my time. I also now look forward to shopping for food, a task I use to DREAD, and so for me it has kind of become a hobby. You're going to find many of the same brands at different stores but there may be a price difference as well. A pound of raw cashews is $5.99 at Trader Joe's but $11 at my co-op, so I know where I'm buying my cashews! If this isn't your thing and you just don't have the time, that's fine, just read on and maybe one of the other tips will work better for you. Stock up when there are sales on items. I buy a ton of frozen fruit to blend with yogurt and make smoothies, juices and ice cream from. Frozen berries are something you can buy in bulk and keep frozen. Last time I shopped at Woodman's, the organic berries were on sale and were about .50 cents cheaper than conventionally grown berries. So, I stocked up on those suckers! I was getting the benefit of organic fruit at a cheaper price! It happens all the time. Other things I stock up on frequently when they go on sale is dry goods like rice, pasta, seeds, nuts and beans. These are going to keep for awhile and you're going to save money by buying more when they are on sale. These are all things that will end up getting used. I just had a $2 organic coffee and a $4 organic cup of summer squash soup which was delicious. This is right on par with any other restaurant prices with the added bonus of only organic ingredients and fresher local ingredients. This means the chance your food has been genetically modified is dramatically decreased and you aren't ingesting harmful chemicals. There still may be additives and preservatives in organic foods and some are still processed, so you need to ask your waiter or cashier if you really want to know what ingredients are in your food. Use google maps and type in organic restaurants and see which options are available in your area. I've found the prices are within the range of a normal restaurant. I just discovered a restaurant here in the Driftless region (federal conservation land) with amazing food and I can't wait to go there again. You could make a better decision to go to Chipotle over Qdoba. Chipotle has more organic options, naturally raised pork, rBGH free dairy and doesn't use soybean oil to cook everything in. You're going to likely spend the same amount on lunch and neither is a traditionally "healthy" choice If you can make a better organic choice for the same amount of money, then why wouldn't you? 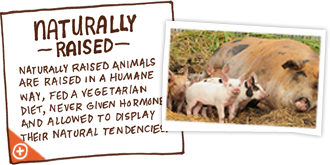 Check out Chipotle's Food with Integrity section for information on treatment of animals, affects on the environment and information about where they get their food! Chipotle ingredients section with categories for organic, local, responsibly raised meats, pasture based dairy, non GMO, preservatives, hydrogenated oils.This is an amazing resource and a restuarant that is doing it right! Buy organic when the food is one of the "Dirty Dozen" and skip it when the food is one of the "Clean 15". The Dirty Dozen are the twelve most contaminated pesticide laden foods whereas the Clean Fifteen are the least contaminated. Some of the lists do vary, but I've complied a composite below. Chose almond milk instead of regular milk, it has twice as much calcium, costs the same if not less and you don't have to worry about hormones, antibiotics and mucus in your food. Take more control over your food and what is in it. The only way to 100% know what is in that food is to do it yourself. And I'm not talking about anything difficult or time consuming here. In the tip above I recommended trying out some almond milk. Do you know what almond milk is? I honestly didn't until this year. And do you know how easy it is to make? Simply blend raw unsalted almonds with water (2 cups water to 1 cup of almonds or 3 cups water for thinner consistency and add real vanilla). Homemade almond milk is great in pancakes! To make cashew milk which is an amazing cream for soups, simply blend raw unsalted cashews with water (1 cup cashews to 2-3 cups water). You can buy a coconut and drink the water right from the coconut or blend up the flesh and make coconut milk. Anyone can blend a nut and water so don't give me that I don't have time crap! Want an easy hummus recipe that will save you money? Click here. Do you know a neighbor with a garden? Does someone in your family own a farm? Reach out to them and let them know you're trying to eat healthier. They may very well offer you some food. This summer my parent's garden as well as my uncle's both produced tons of zucchini, so there was more than enough to go around. Chances are there is someone you know with too much fresh produce just looking to give some away. In this economy, it's totally reasonable to suggest a barter with business or friend. I'm sure you have some skill or items that others would like. Do you take photos, can you help them market your business or write a local write up, do you babysit or make crafts. What do you have that others may want? No dice? Start your own garden and if you can't like me (apartment living), check out community resources. We have a local community garden where you can get free food from either working in the garden for a couple hours and getting first pick or by going there just out of financial need. You have to realize your health IS worth it. It is worth those extra couple of dollars. You don't have to start off on a grand scale, start off small. Start slowly replacing the "Dirty Dozen" with organic foods. Look at your budget at the end of the month and really go through it and see if it is something you can afford, if you spent money or if you even saved money! I had thought for a long time why would I ever buy an organic lemon? I mean you don't eat the peel although you do put it in your drink sometimes, but why waste money on organic lemons when lemons are cheap and readily available? Well, then I bought organic lemons and I haven't gone back since. The scent alone is amazing. It is so much more fragrant than commercially grown lemons. And juicier! 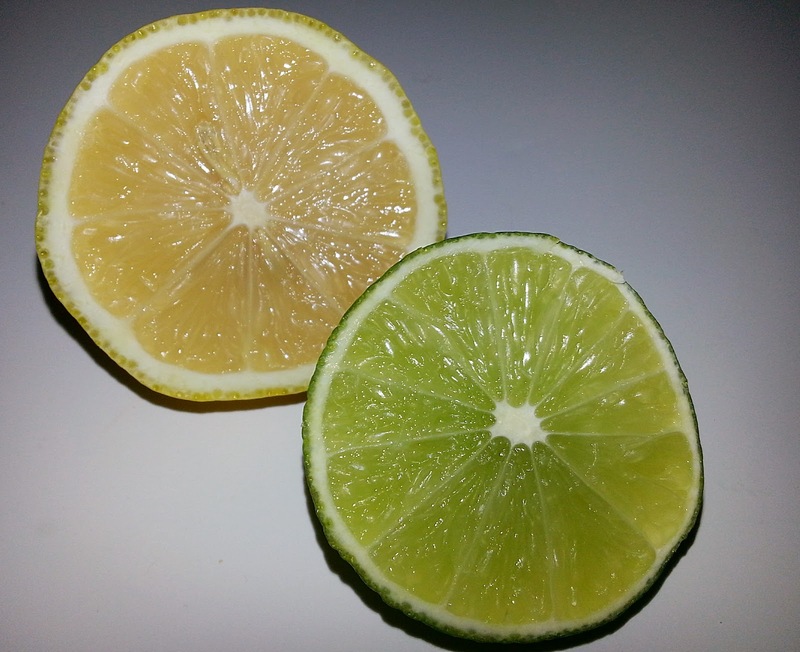 I haven't done a scientific test on this, but in my opinion I get about twice as much juice from one organic lemon slice than a traditional one. This means I'm actually saving money because I'm getting more out of that one lemon! I've also noticed with large commercial lemons that 1/4 of the lemon is cutting through the rind, it's ridiculous. With organic lemons, I cut right in and get a usable lemon slice without having to cut 1/4 of the end off. You're paying for that useless rind that you end up tossing in the garbage, especially if you're paying by weight. When I eat an organic apple, juice is literally running down my face when I take a bite. That is WORTH the .20 cent difference in that apple from a commercially grown apple. Some organic foods can be much more expensive than non-organic foods. I see the biggest difference in meats. I ended up paying twice as much for grass fed organic beef than non-organic beef. Eggs, dairy, nuts and fresh fruit can also be much more expensive. Other products like bananas, onions or lemons you're going to pay cents more for the organic version. Stop with the excuses and start making changes. It is affordable and definitely do-able. Take it one step at a time. Start with replacing 1-5 foods on the dirty dozen list and re-evaluate your budge at the end of the month to see the difference and if this is a realistic possibility for you. Check out if your community has a garden where you can get fresh free produce! It takes effort, dedication and motivation for sure, but nothing that is worth it is ever easy. Do it for yourself, you are worth it. Comment and let me know your thoughts and share your best organic food buying tips with me. Also, follow me on Instagram to see my latest and greatest first!